What do humans choose to preserve and what do they choose to destroy? Why does our brain remember certain things, but not others? How do buildings become enclosures for memories? What do we leave behind when we are in a space and what do we take with us? These are all questions I explore in, “Constructing the Memory-Self”. 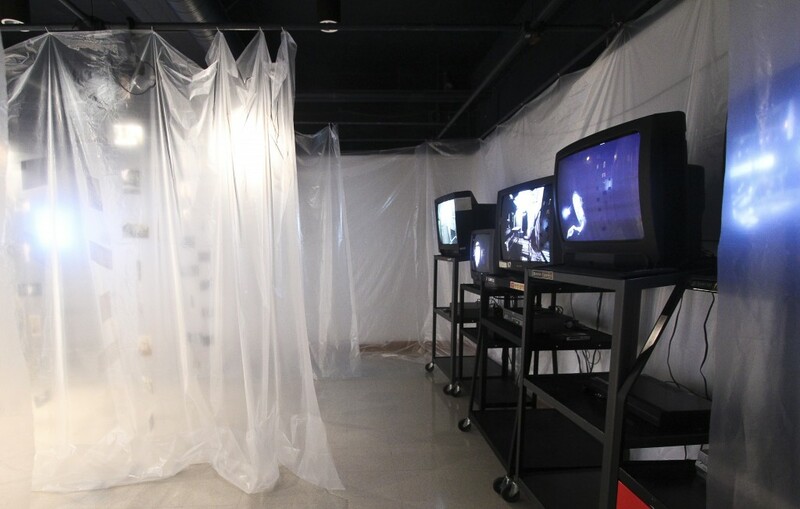 In this project, the multiple mediums of video, photography, book arts and sculpture are combined to answer questions about building, memory, and historical preservation. I hope to spark activism in support of continuing and intensifying the act of preservation today. I have included myself in these buildings, but these self-images are my memory-self, almost a spirit of the building if you will. I believe that when one enters a building, a memory is left behind in that space, but also a memory from that space is taken with the person. So, the image of my memory-self becomes distorted with its eminent destruction. When a building is demolished, so are its memories. 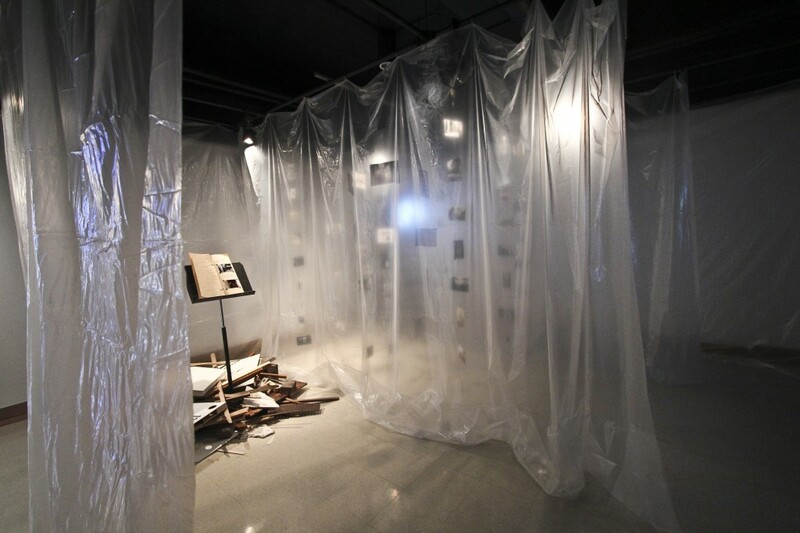 Similar to the buildings I visited, I believe that every person who enters my installation space will take something with them, but also leave something behind, constructing their own personal memory-self within the space of the installation.